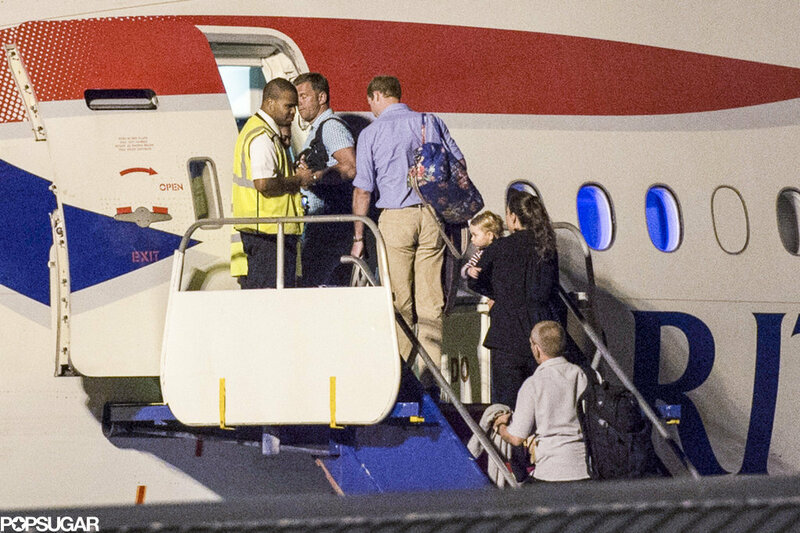 The Duke and Duchess of Cambridge along with their son, Prince George, returned to London on Friday after a two week long vacation to the island of Mustique. The young family was in Mustique celebrating Carole Middleton’s 60th birthday. Vacationing in Mustique at the end of January has become somewhat of an annual Middleton tradition to celebrate the Duchess’ mother’s birthday. Last year a photo was snapped of the Duchess of Cambridge and Prince George at the airport on their way to the island. The Duchess of Cambridge gets back to work on February 12th visiting Portsmouth for an 1851 Trust event. For more pictures from Popsugar, go here.